Sure, you’ve got yourself a LinkedIn profile. And, yes, maybe you joined a few professional groups way back when. But are you doing everything you can to maximize your presence on the top social media platform for job seekers? Probably not, according to our experts. Whether you’re looking to get your foot in the door or want to start climbing the career ladder, optimizing your LinkedIn experience is a snap, as long as you know where to go and what to do. Not convinced? Here’s a statistic for you: 96 percent of recruiters look for talent on LinkedIn, says Lisa Rangel, an official moderator on LinkedIn’s Job Search group. Your goal, she says, is to be found. Want your online business card in front of professionals of all types and levels—including CEOs, editors in chief and creative directors? It’s time to maximize your profile and get in the game. Here’s how. Use the job title field wisely. The headline, aka the job title field, is especially important because it pops up with your name in searches, status updates and comments you leave throughout the site. You don’t have to use this space for your current job title—that can be found in the body of your profile. Consider your headline from the perspective of the person searching for someone like you, Rangel suggests. Think first about the title for which you want to be discovered. Marketing director? Graphic artist? Copywriter? Then add in your location (New York, Brooklyn, Virtual World) and your industry or areas of expertise (sales copy, infographics, finance reporting). The cherry on top is a unique descriptor. Rangel urges users to avoid superlatives and aim for precision—it should be click-generating and buzz-producing. Just get it all done in 120 characters, which is LinkedIn’s character allotment for headlines. So what keywords will make hiring managers take notice? “The best way to find strong keywords is by finding a couple of job descriptions that match your skills and using a word cloud generator [e.g. Tagxedo, WordItOut, Wordle or TagCrowd] to generate keywords for your profile and resume,” says Ron Nash, a LinkedIn preferred trainer at The In Academy. Join a variety of groups within your industry. There are more than 1 million groups on LinkedIn of varying levels of activity and membership. Some are broad (“Media Professionals Worldwide”) and some are narrow (“Business journalists in India”). One of the best features of LinkedIn groups is they expand your network, giving you a perfect opportunity to connect with people you don’t actually know, but would want to get in touch with. Plus, as Nash points out, group members may post jobs they’re currently recruiting for—jobs that aren’t listed elsewhere. Where should you start? Rangel suggests choosing groups across your industry, profession, geographic location and hobbies and then whittling them down. One item to note: Don’t stick to just what you know. 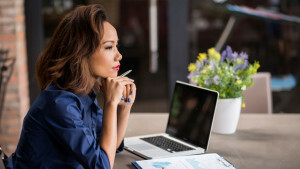 “Networking with other professions within your industry, such as finance and human resources, can expand your cross-functional network,” Rangel says, giving you more connections that you might be able to tap one day. Nash adds that before you share anything with your group, sit back and observe what’s being communicated. Some groups have rules about what outside links can be posted where, and what discussions are relevant to the group as a whole. If you disobey the group’s bylaws, you might get ejected (ouch!). And much like a face-to-face network, groups are all about service. Post articles that are beneficial or offer advice to those asking for it—and before assuming someone else in the group would be happy to be your new industry mentor, ask him or her first. As you import contacts into LinkedIn, you might start off with 30 or 50 industry professionals you actually know. But the value of the platform sneaks in with its second, third and group connections—people you know through other people. If you play your cards right, you can snag new connections online that just might help you get a leg up in your career. So how do you go from a third connection to a first connection? Ask—nicely. Rangel suggests sending something along the lines of, “I see we have some mutual connections on LinkedIn, and I wanted to reach out….” Alternatively, Fisher urges users to ask their immediate connections for introductions. “Your mutual connection validates you as a professional,” she says. No matter how close the connection is, though, do not ask about job openings on your first message to someone. Rangel equates it to asking someone you meet on a blind date to marry you—awkward! If you’re looking to boost your connections, The InMail feature is a helpful tool, though it does require a Premium LinkedIn account. Whether you want to set up an informational interview or network your way into your dream company, Nash says sending the perfect InMail message is about personalization. “Don’t use a generic subject line. Don’t use a generic message,” he says. “And don’t send them a long message. Ask for permission to have a phone call,” which you should be prepared for before you even ask the question. You never know when that possible connection will have an opening in their schedule the afternoon you send the message and want to talk to you ASAP. After all, you give what you get. And to get the most out of LinkedIn, Nash says, you’ve got to be a giver.